Get it as soon as April 25 - 29 when you choose Expedited Shipping at checkout. Ships from and sold by WHOLESALE OUTLET. This title is awaiting final rating. 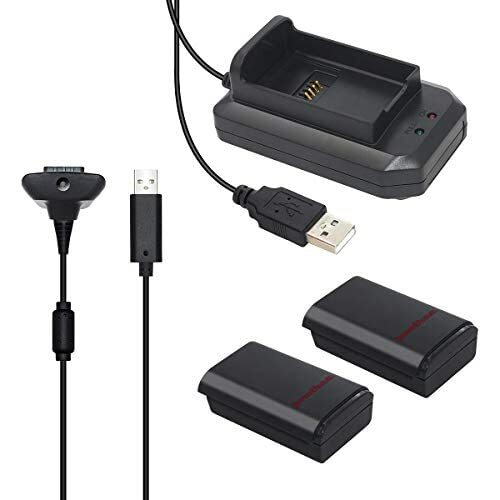 Q: the controllers come with the battery and charging cable? and come in black color? Q: Does it include receiver for PC? 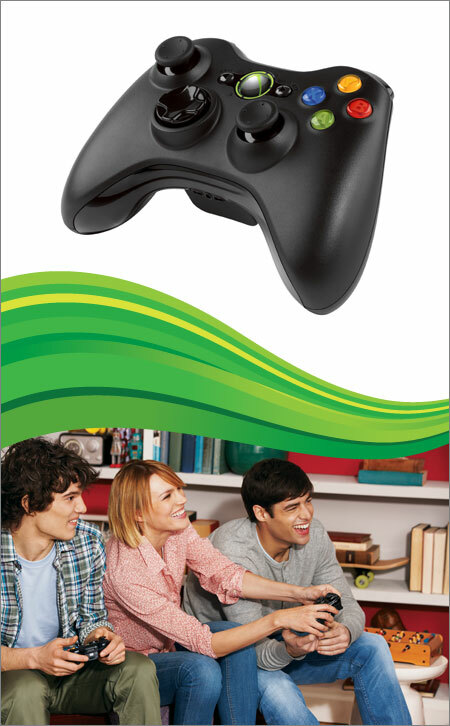 A: Yes, it should work if you have the correct PC receiver to go with the controller. Not new or official equipment. 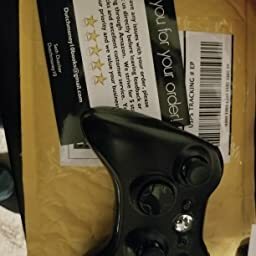 The controller i received was a generic knock off and possibly refurbished or used. There were no X Box logos on it at all. One of the most ergonomic controllers out there. Lots of battery life for two AAs. My review appears to have been removed so here it is again. 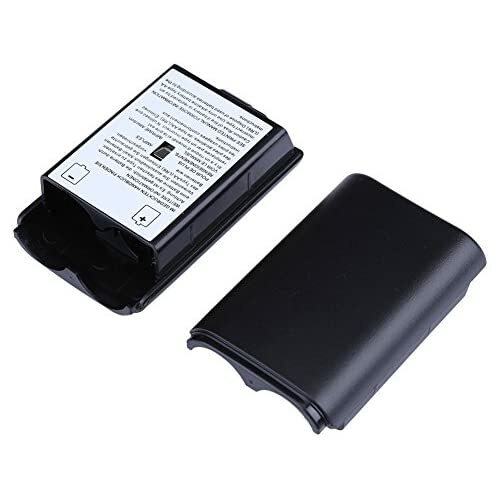 The batteries get stuck in and other reviews note that the batteries usually last about 10 hours. Being unable to remove the batteries without a pair of pliers is problem enough alone for this to get one star. 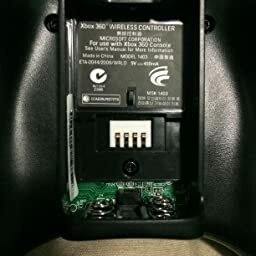 I don't want to have to risk breaking the controller battery bay every time I want to replace the batteries. Not happy with this purchase. At all. *Seller Update* - I went ahead and decided to return this. Via fulfillment through Amazon, there were no problems with shipping, return, and refund. I've only used this for about an hour, and was going to give it 3 stars, **except for the price point**. 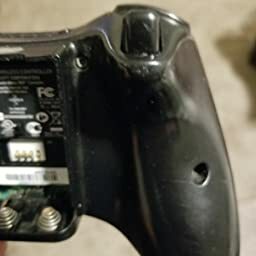 At $50.00 ($49.99), I expected the original, genuine controller, like the one that came with my system; not (what appears to be) a facsimile. I've yet to decide if I'm going to go through the trouble of returning this or not. If I decide to keep it, I'll update my review should the quality hold (which I doubt it will), or degrade (which I suspect it will). Immediately upon opening I found it suspicious. 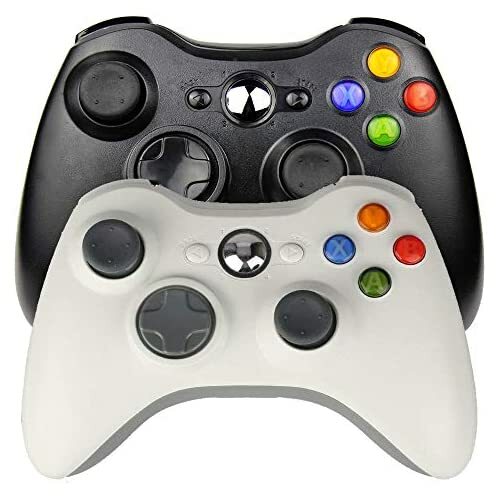 I compared the heft to my original controller, and it's definitely lighter. 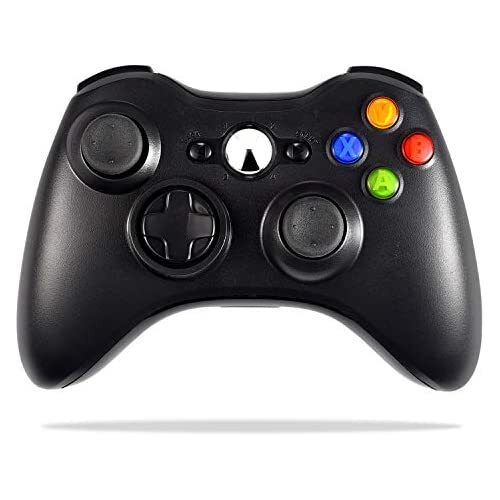 I was looking for an original xbox 360 controller, not a clone of some sort, which this one seems to be. The feel is different, the bumper buttons are loud, the battery cartridge is clumsy. It is not "glossy" but rather kind of rough. 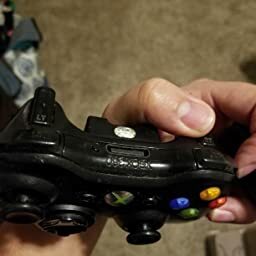 And the thumb-sticks and overall grip are slippery (where-as the genuine xbox 360 controller thumb-sticks have rubber contacts that don't slip at all -- crucial for fast gameplay). Also, the item has tiny smudges and scratches -- though packaged, I'm not sure that it's actually new as described. 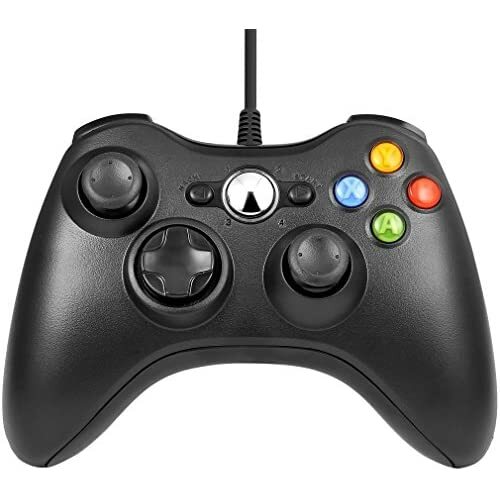 It's as suspected; this controller is of sufficiently inferior quality to a genuine Xbox 360 controller to warrant a downgrade from the 2 initial stars given to now 1.. I'd have been better off purchasing a refurbished used controller for half the cost of this one. About the only good thing I can say about this is that it *does* work (as of now; who knows for how long), but there in lies the extent of the good. As stated above, the bumper buttons are loud, but in addition, so are all of the other buttons. So when playing a fast-paced game with a lot of input (e.g., fighting games), the noise is distracting to anyone within ear shot. 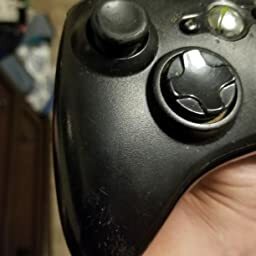 I just today tried it with a first person shooter, and the sensitivity on the right thumb-stick is HYPER sensitive -- I compared it to my original genuine controller. It makes gameplay nearly impossible, as the camera angle (the usual default input for the right thumb-stick in first person shooters) is all over the place. It's difficult to point in a given direction, let alone aim effectively at any moving target. There is an issue with power consumption. I plan on taking this thing apart in my spare time (not going to bother returning it, and can maybe learn something). 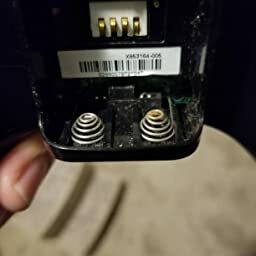 I can then pinpoint exactly what the problem is, but from what I can infer, there is some sort of connection issue in the power circuit. 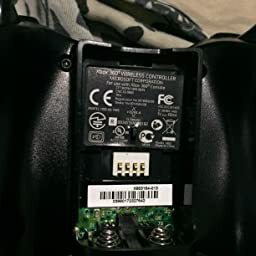 I used two AA batteries that were dying from my genuine controller in this one, and while they worked fine in the genuine controller (with the usual blinking green indicator lights for low battery), in this controller the power kept cutting out within a couple of seconds. I tested the resistance at the four pins shown in the photos, where the battery cartridge contacts meet the controller. The readings were vastly different, with circuits that should have been open showing as closed, varying values, etc. Also, while checking the power issue, I noticed that this one has no FCC id. You can see as well in the photos several other differences which I've yet to look into. 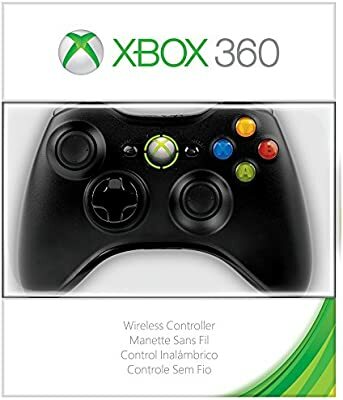 ...But, I can't recommend this product to anyone looking for a usable Xbox 360 controller, especially if it's the only one they'll be able to use. Do not purchase this. In addition to everything above, the battery pack now (just a couple days after posting my previous update) cuts out frequently and randomly. 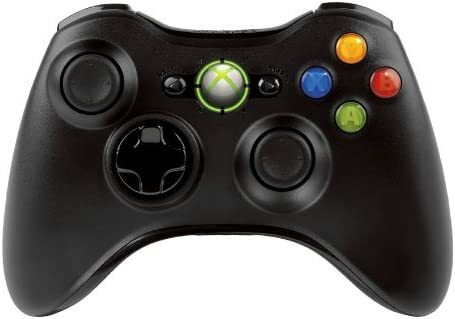 This controller is a complete waste of money. 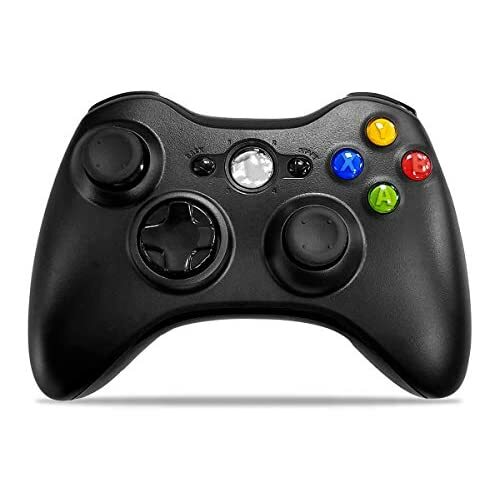 Great ergonomics and build quality on this stock Microsoft Xbox 360 controller. 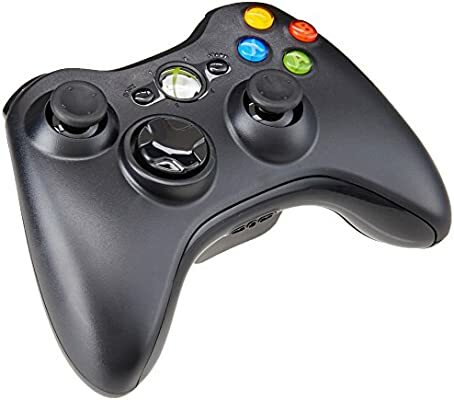 This is a factory wireless Microsoft Xbox 360 controller, and as such should be familiar to anyone who has an Xbox 360. 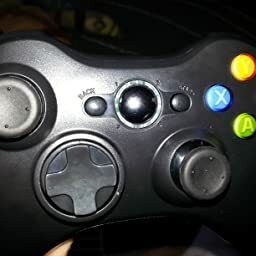 It doesn't work out of the box until you pair it to your Xbox 360 by simultaneously pressing the sync buttons on both the console and the controller. 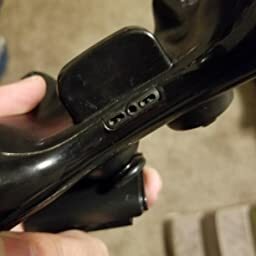 The sync button on the controller is a tiny, almost-unnoticeable button on the front of the controller, by the socket, between the (LB) and (RB) shoulder buttons. The console sync button is on the front of the console; on my 360 Slim it's a subtle button beside the memory card slot. More information can be found on support.xbox.com. 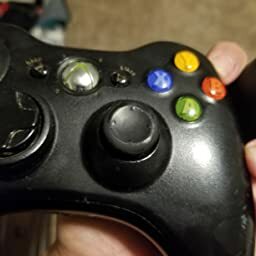 I haven't used the Xbox 360 controller this way, but apparently with the help of the wireless gaming receiver ( Microsoft Xbox 360 Wireless Receiver for Windows ) this controller can be attached to a Windows or Linux PC for gaming. Another option for PC gaming is Valve's Steam Controller, but that one uses a cutting-edge new dual-trackpad arrangement instead of sticks, and requires a bit of getting used to in my experience. Product would not turn on for me. Damage everywhere, I expected wear-and-tear as it's used but the extent that it currently is makes the "very good" condition seem like a flat out lie. There is battery acid damage, and one of the triggers was chewed on by some animal. 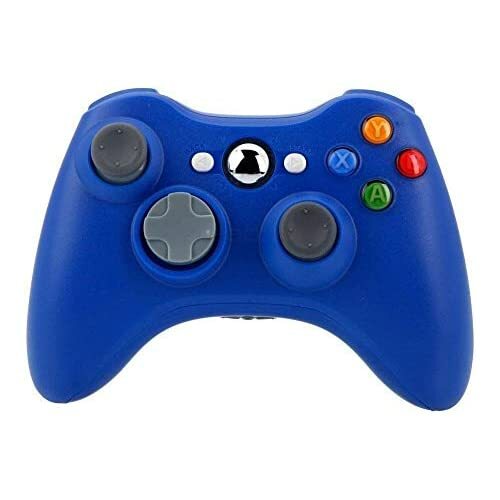 This controller should have gone in the garbage instead of being sold. See photos. Don't buy from "Direct Distrubuter"
Purchased from Direct Distrubuter. One controller didn't even power on. The other controls were kinda sticky and there was corrosion on the battery pack by the terminals. Definitely not "good" condition. 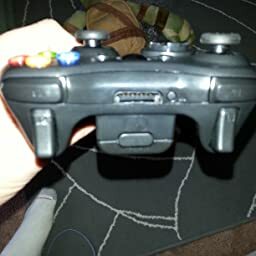 This is the second controller I've received after shipping the first one back to Amazon as clearly defective. They come in the correct retail packaging, and are clearly new, but man has quality control gone out the window. 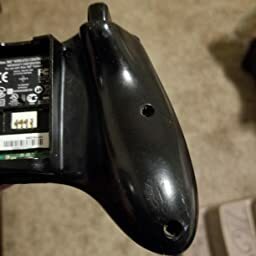 The first one I received had an oily film all over the housing that made my hands itch (creepy) and the D-PAD down and right directions only registered half the time and made a clicky noise when I pressed them. The second one I received is sans oily allergic film this time, but the directional pad still makes the clicky noise when pressing down and right directions. (This does not happen on my two other 360 gamepads). On this one the down direction only works 75% of the time. Since it's only one part of the controller, and it still works pretty well, I'll give it a 3/5. I wonder if Microsoft changed OEMs recently? Either way, I can't help feel like this is some way to get Windows users to buy the new Xbox One controller and Xbox One Wireless Adapter.